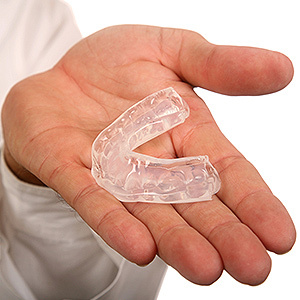 Dental Emergency tips and articles for our Waukesha, Hartland, and Oconomowoc patients. 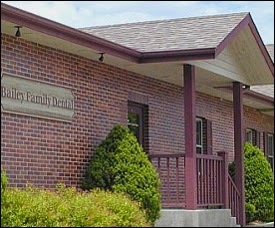 Bailey Family dental. Contact us at 262-369-8633 for all your dental needs. Simple toothaches can often be relieved by rinsing the mouth to clear it of debris and other matter. Sometimes, a toothache can be caused or aggravated by a piece of debris lodged between the tooth and another tooth. Avoid placing an aspirin between your tooth and gum to relieve pain, because the dissolving aspirin can actually harm your gum tissue. Broken, Fractured, or Displaced Tooth A broken, fractured or displaced tooth is usually not a cause for alarm, as long as decisive, quick action is taken. If the tooth has been knocked out, try to place the tooth back in its socket while waiting to see your dentist. First, rinse the mouth of any blood or other debris and place a cold cloth or compress on the check near the injury. This will keep down swelling. If you cannot locate the tooth back in its socket, hold the dislocated tooth by the crown – not the root. Next, place it in a container of warm milk, saline or the victim’s own saliva and keep it in the solution until you arrive at the emergency room or dentist’s office. For a fractured tooth, it is best to rinse with warm water and again, apply a cold pack or compress. Ibuprofen may be used to help keep down swelling. If the tooth fracture is minor, the tooth can be sanded or if necessary, restored by the dentist if the pulp is not severely damaged. If a child’s primary tooth has been loosened by an injury or an emerging permanent tooth, try getting the child to gently bite down on an apple or piece of caramel; in some cases, the tooth will easily separate from the gum. Treatment of an abscessed tooth An abscessed tooth is an infection that has spread bacteria from the root of the tooth to the tissue just below or near the tooth. In general, a tooth that has become abscessed is one whose underlying pulp (the tooth’s soft core) has become infected or swollen. The pulp contains nerves, blood vessels and connective tissue, and lies within the tooth. It extends from the crown of the tooth, to the tip of the root, in the bone of the jaws. An abscessed tooth can be an extremely painful condition. In some cases, antibiotics are administered in an attempt to kill an infection. Antibiotics and root canal therapy could be used together to restore the tooth to a healthy state.